Nick Jonas and his fiancée Priyanka Chopra were all about each other as they celebrated their engagement. 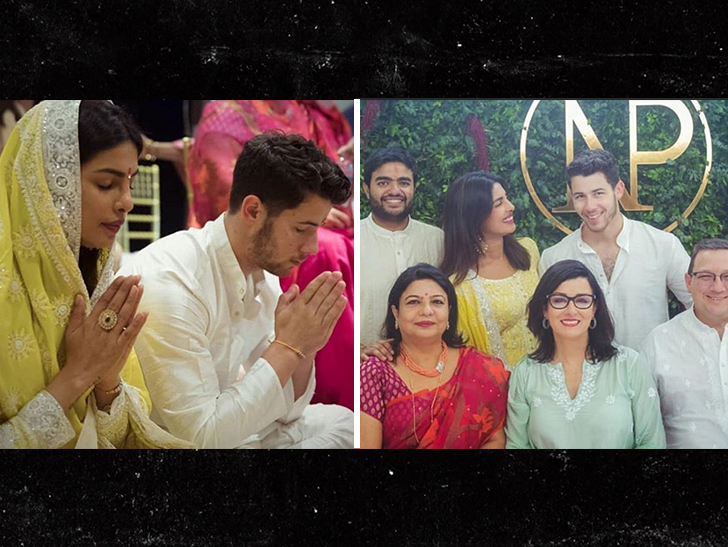 Nick and Priyanka were front and center at their engagement party in Mumbai, India Saturday as they followed tradition for the roka ceremony. Nick wore the formal sherwani outfit for the occasion, as the couple prayed together. A number of rituals were performed and Nick followed the script to a Y.
Priyanka’s mom and brother proudly posed with the couple, as did Nick’s parents. 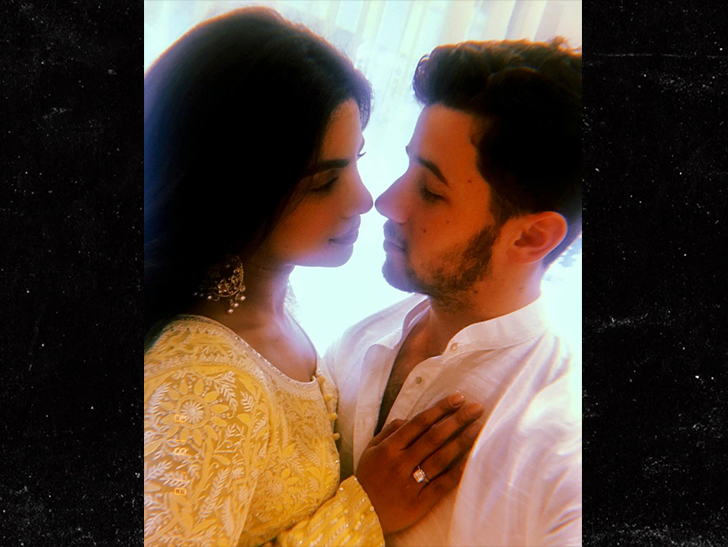 Nick and Priyanka got engaged late last month. So far no wedding date has been set … at least they’ve haven’t publicly hinted at it. Only a matter of time … all 3 Jonas bros will have gone all matrimonial.